Stryker is always exploring and creating new medical devices. We’re committed to bringing you and your team exceptional educational experiences and world-class support to improve care and optimize results. We listen to the needs of healthcare professionals around the world and develop activities that address evolving clinical and operational challenges. We offer a full range of learning opportunities and are always developing new, industry-leading education and training resources. Each year, our medical education team trains thousands of healthcare professionals on our neuro, spine, ENT and navigation products. From hands-on laboratory practicums in our Mobile Lab to educational presentations on the most up-to-date medical technologies and care practices, we help you and your team make your skills even stronger. Our Medical Education team conducts hands-on dissection courses with an emphasis on product training using surgical instrumentation and navigation technology in neuro, spine and ENT procedures. Each course is customized and may include lectures and case discussions with leading clinicians—plus an intensive cadaveric dissection lab. Many of our courses are taught in our Mobile Lab—a larger-than-life experience that puts our operating room innovations at your fingertips. The Mobile Lab is a full-length semi-trailer truck transformed into a teaching theater with room for 40 people. 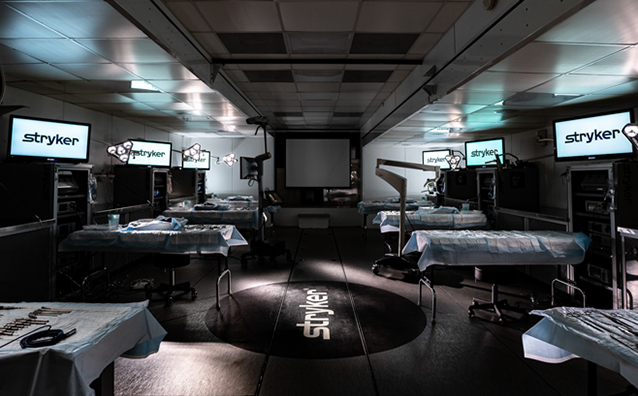 Its eight fully-equipped lab stations give participants close access and hands-on experience with the latest surgical technology. With Mobile Lab, the operating room of the future is parked outside today. 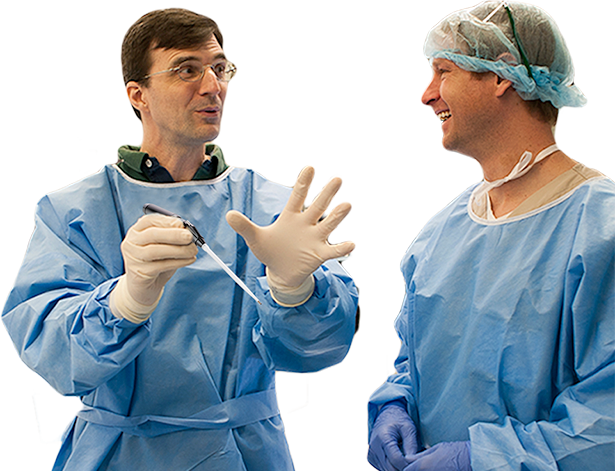 These hands-on workshops help participants gain the precision and skill they need to use high-performance surgical instrumentation successfully. Designed for perioperative room nurses, surgical technicians and other healthcare professionals, these courses give participants hands-on instruction in how to assemble, operate and use our advanced surgical instruments in a variety of applications. To find educational programs and other events, view our calendar. Michael Hoa, M.D. 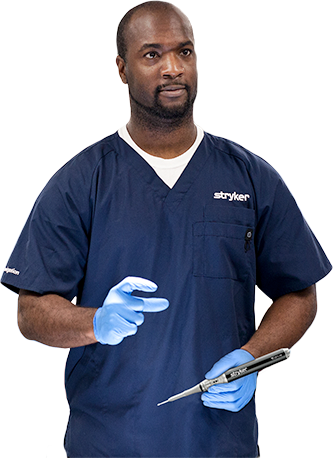 | Washington, D.C.
Stryker recognizes the critical role of medical education in advancing medical technologies, treatments, knowledge and patient care. With review and approval from Stryker’s Grants and Donations Committee, we’re honored to support worthy educational events with educational grants and charitable contributions. To learn more about our guidelines and apply for an educational grant or charitable contribution, please visit requestportal.stryker.com to apply. We may make educational grants to bona fide educational activities for healthcare professionals and may include funding for accredited continuing education. We make educational grants to institutions—not to individual healthcare professionals. We don’t use grants to induce customers to purchase or use our products or services, to promote off-label uses of our products or as a substitute for discounts. We make grants to educational programs that are scientifically justified—our support is never intended to be promotional. We make continuing medical education grants only to programs that follow standards for development and delivery established by the FDA, the Accreditation Council for Continuing Medical Education, AdvaMed and other applicable bodies.